To a business owner, keeping the entrance and sidewalk to his or her business clear is necessary and is often included in snow removal contracts. Snow removal contractors need quality equipment in order to fulfill the contract requirements and reduce slip and fall injuries in the winter. Spreading de-icing material is like applying the finishing touch to taking care of snow and ice removal buildup. 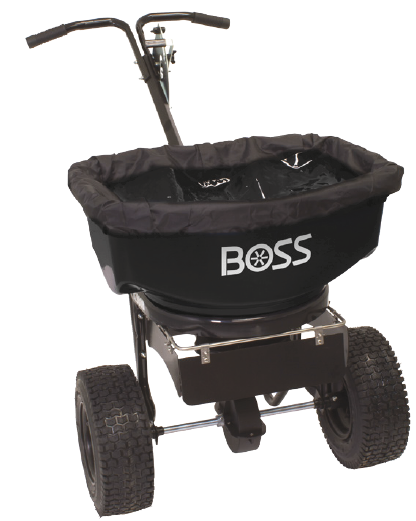 BOSS continued its commitment to the half-ton truck market with the release of the HTX V-plow. 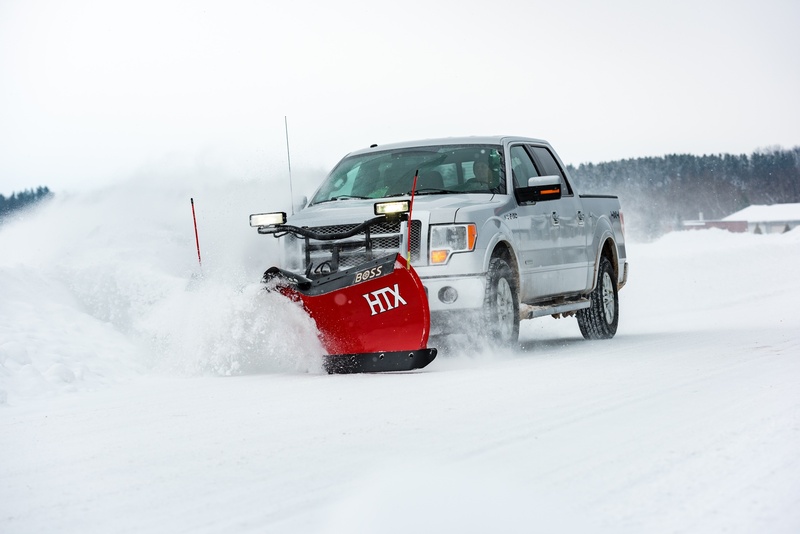 Now you can put your half-ton truck or SUV vehicles to use with the HTX V-plow for when Old Man Winter Strikes. 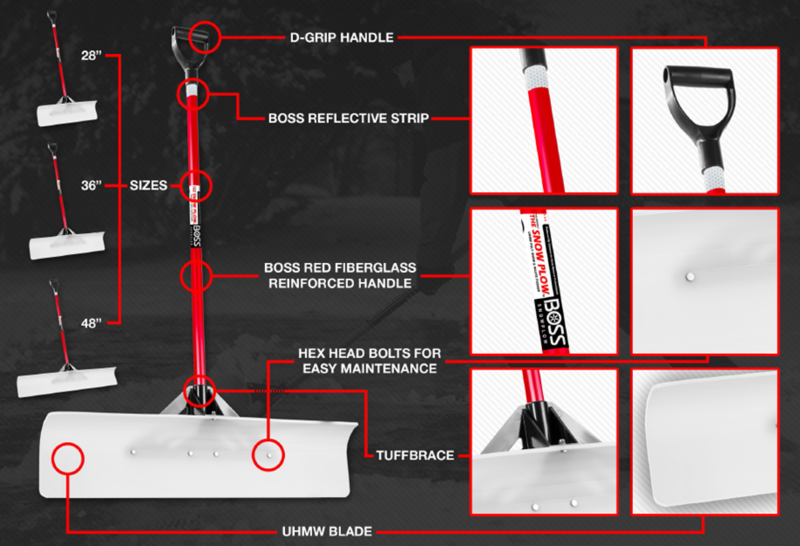 Strike back with full plow power in a compact package. In the early 1800’s snow shovelers were hired to clear the streets for all snow events. Hundreds of shovelers would parade through the streets, shoveling away, to ensure the streets were cleared for horse and carriages. Now, can you imagine the nastiest, coldest blizzard you’ve ever plowed in and then imagine tackling it with only a shovel? The truck and snowplow changed the snow and ice removal game; however, the shovel continues to play a very real and vital role in any modern snow removal job and should not be dismissed too readily.